With winter fully upon us, many Wisconsinites are looking for a way to warm up as the temperatures drop and the snow gets deeper. 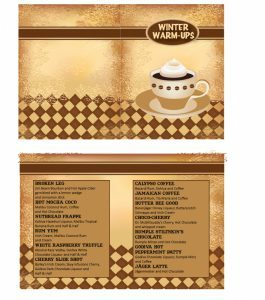 Here at your local Festival Foods Wine and Spirits Department we have just the answer: a full listing of your favorite winter drink recipes! 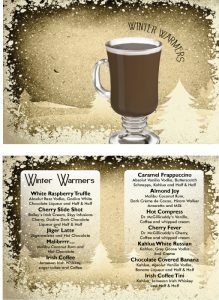 Whether you prefer something hot or cold we have a full selection that is sure to please you and your holiday guests. 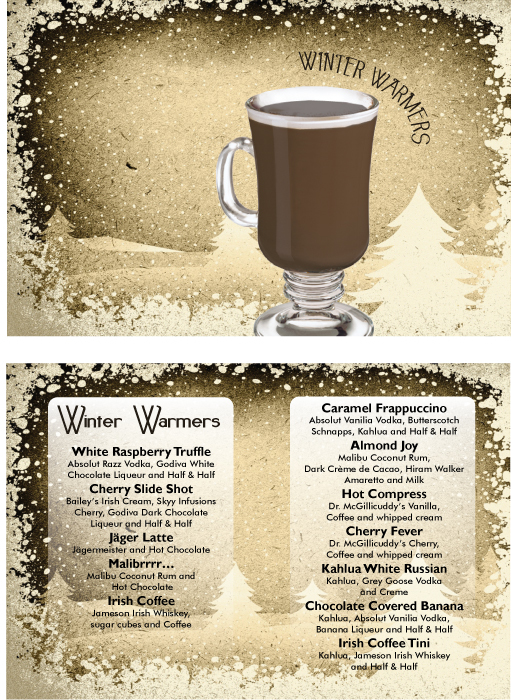 No matter if you’re in the mood for a traditional Irish Coffee or if you want to try something new like a White Raspberry Truffle. We have all the recipes and ingredients to satisfy your winter beverage needs. If you’re a fan of Tom and Jerry’s be sure to grab some of our very own Tom and Jerry Batter made fresh in our very own Bakery Department. It’s guaranteed to warm you up on a cold winter day! We also have two drink menus available for you to take home and use if you wish. Or, if a holiday cocktail is not your thing, we also have a huge variety of holiday wines and winter beers to please just about any palette. From all of us at Festival Foods, we wish you a very safe and happy holiday! Please drink responsibly!